NLD FUNDING AVAILABLE TO CLUBS! As we move into the early stages of 2018-19 season we would like to make all clubs aware of funding opportunities to support growth and development. Both the Club and Game Development groups have a number of funding support projects available to support your club. 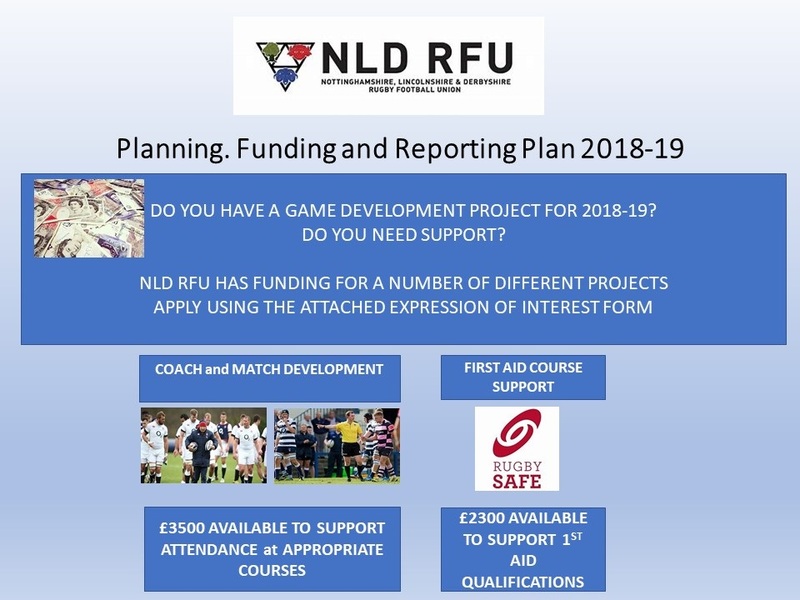 To apply for funding please complete the Expression of Interest PFR 18-19 Document and submit it to the NLD RFU Office. The Facilities Group and the Game Development Committee next meet on the 3rd December 2018. Therefore, prompt submission of your clubs expression of interest document is recommended. 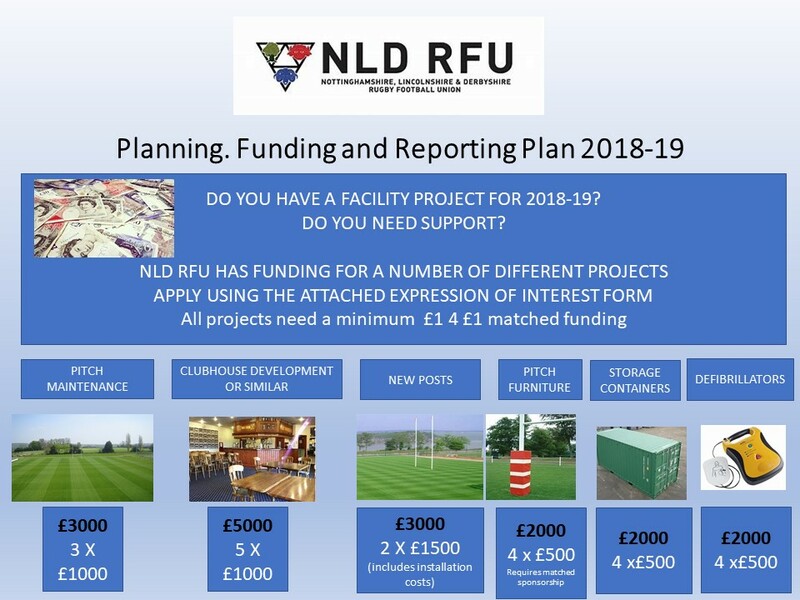 In collaboration with the RFU Area Facilities Manager Pete Shaw, NLD RFU would like to gain a deeper understanding of your clubs development plans as part of their Rugby Club Facility Improvement Programme. On submission of your application for funding please include this short form, detailing what your facility development plans are for the future. If you require any additional support with your application, please make contact with the NLD RFU Office or RFU Rugby Development Officers for NLD.